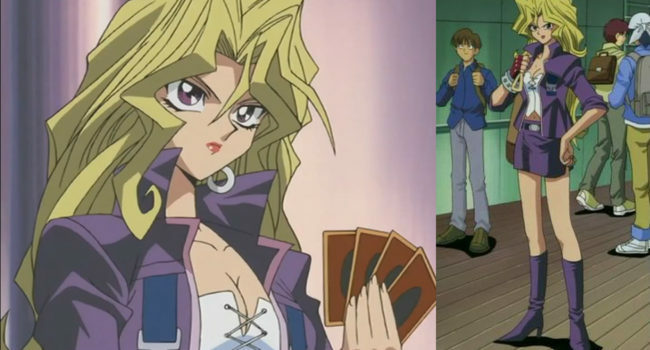 In Yu-Gi-Oh!, a beautiful and largely arrogant duelist, Mai Valentine (Haruhi Terada / Megan Hollingshead) is a rival of Yugi Muto (Shunsuke Kazama / Dan Green) and his friends. She cons and seduces men out of money and victories with her faux-psychic powers and her Harpies deck. After spending more time with the protagonists of the series, however, she becomes less cold and hesitant to the idea of having actual friends.